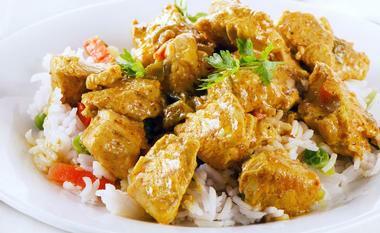 You can't be a fan of flavors and spice and not develop a love affair with Indian food. It's simply impossible. 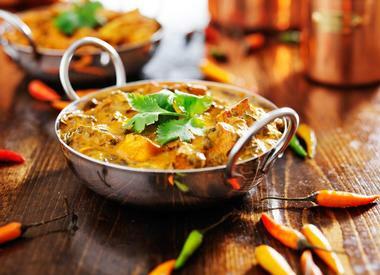 From hot and creamy curries to biryani dishes piled high on a tiny tin plate, there's a lot to love when it comes to Indian food. Lucky for Seattle natives and visitors to the Emerald City, there's a fantastic Indian food scene in the area so good that you're pretty much spoilt for choice. 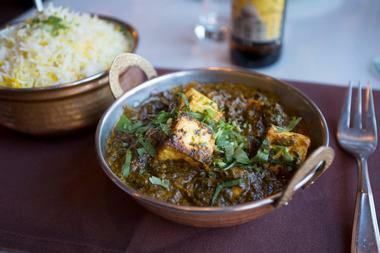 You really don't have to look far to find some fantastic Indian food in this seaport city. 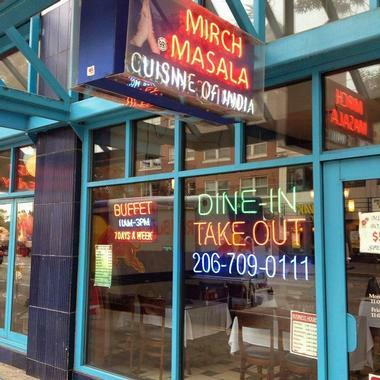 Consistently featured as one of the best restaurants in Seattle by the Seattle Met, Zagat, the Seattle Eater, and the Seattle Times regardless of cuisine, Nirmal's is one of the city's newest Indian restaurants. The restaurant is run by five-star master chef Nirmal Noteiro, who brings his decades of culinary experiences and journeys from around the world to Seattle through Indian food with a unique twist. Chef Nirmal brings together traditional Indian ingredients and spices and marries them with global influences through dishes like the sabzi pakora, the hara bhara tikka and the Mangalorean Fried Fish. One of the most popular entrees at Nirmal's is the Prawn Phalnaire, which features succulent prawns sautéed in a blend of onion, garlic, and a spicy tangy sauce and served on a crisp baguette. There are too many fantastic dishes to try in one go, so make sure to come back a few times to taste the best that Nirmal's has to offer. Opened in 1998, the Bengal Tiger was born out of Chef Muhammad Uddin's perseverance and passion when he agreed to take on an Indian restaurant in the Roosevelt Neighborhood and turn it around. To say that his hard work paid off would be a severe understatement as today the Bengal Tiger is one of the most popular Indian restaurants in the entire city. Featuring an inspired and diverse menu, the Bengal Tiger serves dishes originating from the many regions of India. The house signature, the Madras curry, for example, was inspired by a dish from Tamil Nadu, while the vindaloo dishes on the menu were inspired by traditional dishes from Goa. Let's not forget the Northeast Indian-influenced dishes, which were born out of Chef Uddin's roots in Bangladesh and Bengal. 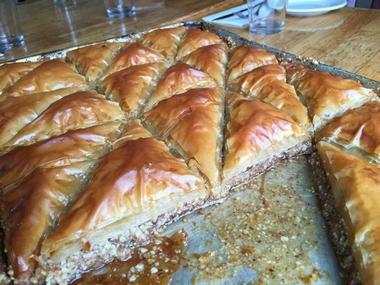 If you were to walk around the University District and ask people where to find the best Indian food in the area, we'll bet you dollar to donuts that they'll mention Cedars. Truly, Cedars has become an irreplaceable part of the neighborhood after 40 years of operating as a family-owned Indian restaurant. The restaurant serves authentic Indian and Middle Eastern favorites with fresh ingredients every day and has become very well known in the area for their spectacular butter chicken and their incredible variety of naans and chai tea. Dining at Cedars is almost like visiting the home of a friend, as the family that runs the restaurant really goes out of their way to make sure that everyone feels welcome as they sit down for a meal. 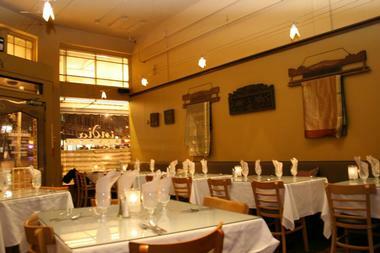 Cedars on Broadway is the second location of the earlier mentioned restaurant, Cedars on Brooklyn. As the second location, the Broadway branch really had to work hard to match the quality of food coming from the first location while also finding a way to set themselves apart. While the original branch is well known for their butter chicken, Cedars on Broadway has perfected the art of tikka masala and coconut curries, among other things. Thanks to the passion and commitment to fantastic food that the Cedars branches put forward, they have quickly come to be known as Seattle's best. Don't forget to try other offerings such as the lamb gyro sandwiches or kabab salads and make sure to have a sip of their traditional Indian mango lassi. It's all about larger than life flavors at Chili's South Indian Cuisine, which is located in Seattle's busy University District. Owned by Anila Swamy, Chili's South Indian cuisine's origins can be traced back to 1993, when her father, a nuclear scientist from Kerala, India, migrated to the United States and opened a dollar store at the cross section of University Way and 50th Street. In 2008, Anila started cooking dosas, a staple South Indian dish, which quickly captured the tongues and hearts of Seattle's locals. Today, Chili's is known for a diverse menu and a skilled staff that whips up delicious offerings like their best sellers – the classic masala dosa and the Chettinadu lamb. If you're ready to be immersed in all the fiery flavors of India's southern region, Chili's is where you want to go. There's something much like visiting an old friend about Chutney's Bistro. Warm and friendly, the bistro is decorated with gorgeous Indian accents that exude a homey and welcoming feeling. Specializing in authentic Indian cuisine prepared using traditional methods, Chutney's Bistro is also known for being the first Indian restaurant in Seattle to use exclusively USDA certified organic food and wine products. Aside from organic cuisine, Chutney's Bistro also offers a gluten-free menu, which is equally delicious and sumptuous. If you're dining at the bistro for dinner, you absolutely must try the thali, a set meal with four side dishes, Indian bread, some type of rice dish, and a dessert. It's humble but ultra-packed with flavors and textures that will send your taste buds into a frenzy. 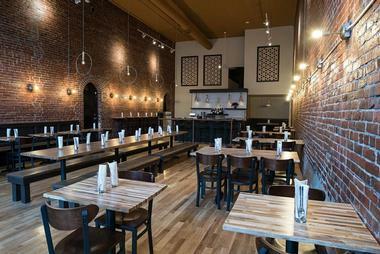 A favorite amongst the local community of Seattle, the Daawat Grill and Bar has become popular for its modern interpretation of classic Indian dishes. Apart from this, the chef and owner of the restaurant are adamant that they use only the highest quality fresh ingredients in their cuisine, which results in incredible and luxurious curries and savory dishes. When it comes to appetizers, some of the must-try dishes include the pakoras, lightly battered and fried fritters that are spiced delicately and served with cilantro and tamarind chutneys. For your main, try the Curry Specialty or some of the tandoori offerings like the keema kebab, the tandoori chicken tikka, and the lamb boti kabab. Dine in or grab it to go, either way, you're bound to enjoy every bite. Situated in the heart of Belltown in downtown Seattle, the Far Eats Indian Restaurant cooks up an unbelievably delicious Indian buffet every weekday and has ala carte dinner items to satisfy gastronomes with a love for Indian food. Just a few minutes away from the Space Needle and Queen Anne, Far Eats is also armed with a full bar that serves cocktails, beer, and wine for visiting tourists and locals alike. Among the dozens of dishes that are prepared fresh daily for the lunch buffet, some of the items that stand out are the mutter paneer, the chole with Bhatura, and the chicken in gravy. Frequent visitors are also avid fans of the garlic naan. 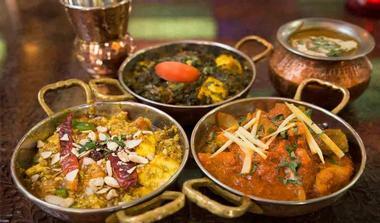 Meanwhile, dinner favorites include the chicken tikka masala, the lamb saag, and the chicken with saffron. From exotic spices to top notch ingredients, there's a lot to look forward to when you pay a visit to Garam Masala in the northeastern area of University Way. Great attention is given to every dish prepared at Garam Masala, which is open for lunch and dinner services. 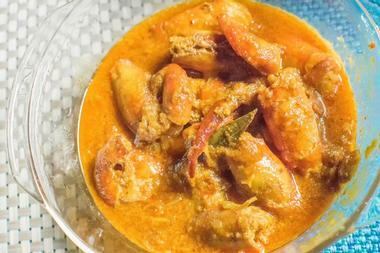 A must-try dish is the ever-traditional Bombay fish curry. 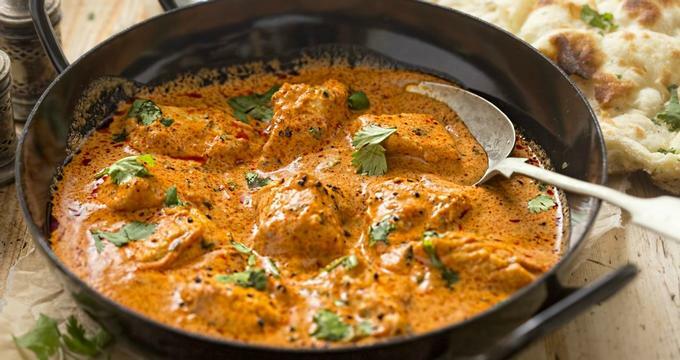 In this refreshing curry, chunks of fish are cooked in an exciting array of classic Indian spices and tomatoes, then left to simmer until the juices of the tomatoes turn into a silky gravy. Not to be missed either is the lamb jalfrezi, which is made of lamb that's been stir-fried with bell peppers, garlic, onions, ginger, and a flavor-packed brown curry. If you're looking for a light lunch, by Indian standards that is, go for the fish biryani, which features perfect basmati rice that is cooked with the catch of the day. 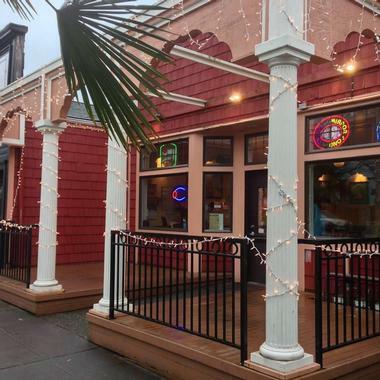 A permanent fixture in the neighborhood of Ballard since 1998, India Bistro invites all visitors to come and experience the real India through food that does nothing short of engage all of your senses. The bistro is a perfect restaurant for any occasion, whether it be a dinner party, a lunch meeting, or a cocktail reception. In every meal, there are classic and fantastic Indian flavors to enjoy alongside a fantastic presentation with formal Indian platters. The lamb and chicken specialties of India Bistro are highly recommended and are served fresh from the authentic tandoor oven. 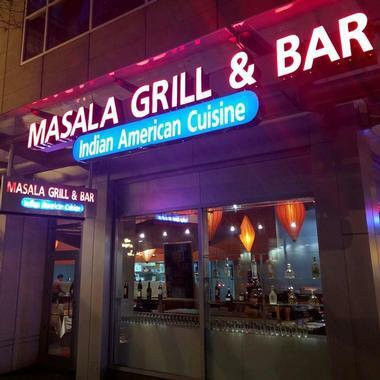 The restaurant is run by Mukesh "Mike" Punjabi and has been well received by critics from publications like the Seattle Times, the Seattle Post Intelligencer, and the Zagat Guides. Dining with some buddies? Go for the fantastic buffet, which has favorites like butter chicken, spinach paneer, naan, and flakey samosas, and fill up for just $12. In a cozy location in the East Broadway neighborhood, Mirch Masala is the perfect spot for an intimate date over mesmerizing and traditional Indian cuisine. 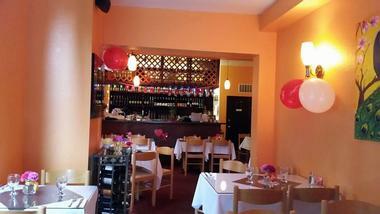 The experience at Mirch Masala starts from the first moment you walk into the restaurant. Decorated with eye-catching pieces from the exotic land of India, Mirch Masala provides a warm atmosphere to match the food. Then comes the food, which is prepared from family recipes that are over 100 years old. Each dish is guaranteed to please and satisfy just as they have for over a century. Among the mouthwatering dishes to try, some of the stand-out offerings are the Masala signature Indian mixed grill meal, the lamb boti kabab, the paneer tikka, and the tandoori rack of lamb. Equally pleasing are the tandoori fish and the lamb seekh kabab. If you're not sure what to try as your introduction to Indian cuisine, you can never go wrong with one of Mirch Masala's lamb entrees. At the Jewel of India, the food revolves around three things: authenticity, taste, and health. The cooks here pay great attention to the food that they make and the menu features dishes representative of the many regions and culinary heritage of India as a whole. 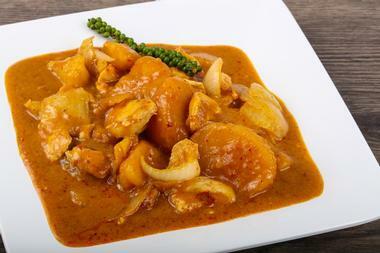 Each vibrant spice comes alive in every dish, like their coconut curry, mango curry, vindaloo, and jalfrazie. The Kerala coconut fish curry, a South Indian dish, is also spectacular with a unique blend of coconut, chilies, and tamarind that will keep you coming back for more. Meanwhile, every region of India is represented in the selection of tandoor breads at Jewel of India. Visitors can feast on favorites like naan and enjoy several variations like garlic, vegetable, keema, spinach and chicken naan. Other tandoori breads available include favorites like aloo paratha, puri, roti, bhatura, and onion kulcha. 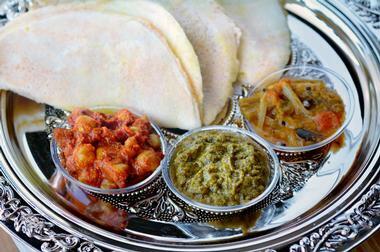 The locals of East Seattle go bananas for the naan, samosas, and curry of the Kanak Cuisine of India. Kanak's name is representative of India's northern agricultural heartland from which the restaurant's dishes are inspired. Among the diverse offerings on Kanak's menu some of the must-try dishes for those who are new to Indian cuisine are the savory vegetable samosas, which have been filled with lightly spiced potatoes and peas, and the paneer tikka, tender Indian cheese cubes with exotic spices and tandoor-roasted. The butter masala, Kanak's house specialty, is particularly delicious and features an amazing mixture of butter, tomato, cream sauce, ginger, and garlic with your choice of fish, prawn, or lamb. 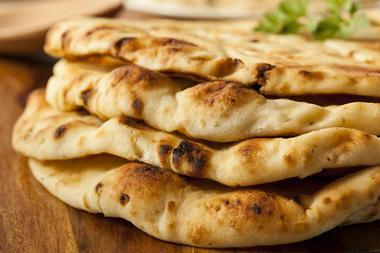 Don't forget to order one of the restaurant's tandoor breads, like Kashmiri naan or onion kulcha, to eat with your choice of curry. The first thing you need to know about the Kastoor Grill is that it's a good idea to come hungry – very hungry. This way, you'll have more room in your stomach to feast on the fantastic cuisine that the cooks at Kastoor Grill will send to your table. With a team of gifted of chefs who have their gastronomic identities rooted in their culture, the restaurant offers visitors a true taste of Nepal, India, and Tibet, all in one go. Truly, every dish that they bring forth is a feast in itself, with spices brilliantly used to add unbeatable flavor and a heat that can be adjusted to the palate of the diner. The wait staff are also truly hospitable and go the extra mile to make sure that the ambience and music contributes to an exemplary dining experience. Make sure to try at least one special from each region, such as the aloo bodi tama from Nepal or the reshmi kebab of India and share it with friends for the perfect meal. 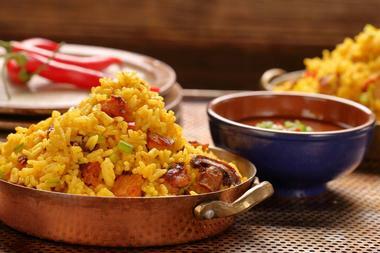 Craving the bold flavors of Indian food? Head to Maharaja Cuisine of India to enjoy a festival of Indian curries and other offerings of exotic Indian food, made in-house and fresh every day. Talented and experienced chefs are at the helm of the Maharaja's kitchen and bring forth the most outstanding and authentic dishes possible with recipes that are decades, if not centuries, old. Let the sauces and flavors of each dish dance on your tongue with bestsellers like the aloo pakora or the chicken pakora. Tandoori specialties like the malai kabab, chicken tikka, and the lamb boti kabab are also must-haves. Celebrating a special occasion? Go for the rack of lamb, which is marinated in lemon juice, ginger, and garlic, then grilled to absolute perfection in the tandoori. 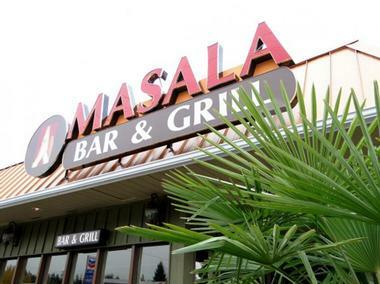 Indian cuisine is perhaps one of the most complex and flavorful cuisines in the world today and no one in the Northgate area does it quite as well as Masala of India. From every plate that comes out to the kitchen to the atmosphere and ambience of the restaurant, everything about Masala of India is reminiscent of visiting a restaurant in India itself. The restaurant is owned by Mr. Sanjay Sharma, who shares his precious family recipes with all those who visit the Masala of India. Try the filling and luxurious luncheon buffet for your first visit to get a taste of dozens of Indian delicacies, then dive into your favorites or intriguing offerings when you come around for dinner. One thing is for certain, though, you definitely don't want to miss out on seafood, chicken, and lamb specialties of this joint. Crafting mouthwatering meals every day of the week, Mehak Indian Cuisine is a mainstay of Roosevelt Avenue and a favorite of many locals. What draws people to Mehak, apart from it's delicious offerings, are the huge portions and affordable prices. The attentive staff are friendly, making it a great place to come for dinner with the family or a quick lunch during the work day. Bestsellers at Mehak Indian Cuisine include the chicken tikka masala and the garlic naan, which is perfect to soak up the beautiful and velvety curry of the chicken tikka. Don't forget to end your meal on a sweet note with a traditional Indian desert like gulab jamun, kulfi, kheer, or mango kulfi. Opened in 1995, Pabla Punjabi Cuisine is a small and family-run business that has delighted and impressed many guests since its first day of service. Professional and attentive to details, one wouldn't guess that this restaurant was family owned, but owner Jaswinder Pabla presents a mind-blowing dining experience through her decades of cooking experience. The story of her culinary journey started in the North Indian city of Phagwara in Punjab, where her family opened its first restaurant. Sixty years later, the beautiful blend of spices and vegetable-oriented cuisine of North India finds itself in the heart of Seattle. Diners can feast on winning dishes while enjoying views of the Space Needle and being served by exceptional wait staff. With a great view, amazing food, and unbeatable service, what more could you ask for in a restaurant? Do you go loco for curry? If yes, then Qazi's Indian Curry House has exactly what you need for a hearty, filling, and spectacular meal. 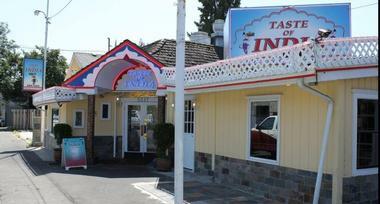 Arguably the most popular Indian lunch buffet spot in the Fremont area, this Indian Curry House has dozens of dishes to try and a welcome atmosphere to boot. For first timers at Qazi's, the robust menu may easily overwhelm you. If this is the case, going for the buffet is the best thing to do as it allows you to sample everything the restaurant has to offer. 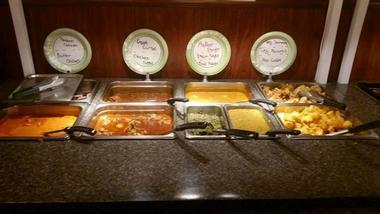 With the buffet, you can try every kind of Indian cuisine you could think of, from South Indian to North Indian dishes. Tandoori cuisine and thali specials are also available and there's even a full menu dedicated to chaat dishes alone. Interestingly, Qazi's Indian Curry House also has a section of the menu dedicated to Mediterranean cuisine. Located in the heart of Lower Queen Anne, walking into the Roti Restaurant is like stepping into a superb restaurant in the heart of India. Great care and attention is paid to everything that comes out of the kitchen, and the Roti Restaurant is best known for making all of their spices fresh every day. They do this by blending the spices in small batches, then pan roasting, grinding, and sifting them. All of this is done to present the freshness that only homemade food can give, and boy do they do it well. It goes without saying that the tandoori breads like naan and roti are absolute must-haves. 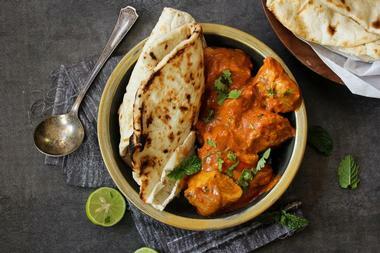 Pair these flakey, chewy, and delicious Indian breads with offerings like the tandoori chicken, a spring chicken marinated in yogurt, ground spices, garlic and ginger, or the coconut salmon, fresh salmon that's been marinated with ginger, garlic, curry, and spices, then simmered in coconut milk. With over 20 years of experience in the food industry, Mohammed Bhatti brings to Seattle a fusion of Mediterranean and Indian cuisine through the Saffron Grill. Mr. Bhatti has already built a solid reputation with several Indian and Mediterranean restaurants located in Chicago and Seattle under his belt enjoying Zagat ratings. The dishes on the menu are innovative and speak to the passion of the Saffron Grill's chef, who expertly prepares these dishes from scratch daily. If you're intrigued by North Indian cuisine and have never tried it, the Saffron Grill's fusion cuisine is the perfect introduction the gorgeous flavors and spices that Indian food utilizes so well. In the mood for some one-of-a-kind Indian cuisine in a casual setting? 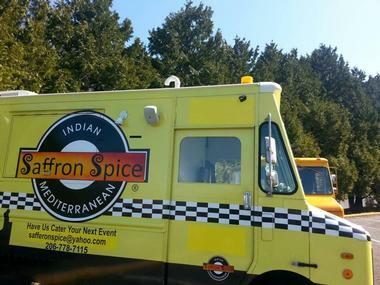 Head to Pike Place Market and make a beeline for the bright yellow food truck called Saffron Spice to satisfy your Indian food cravings in an exceptional way. The Saffron Spice initially started a small and humble kiosk in the market, but it's popularity quickly led it to become a successful food truck that sits parked outside the market. What's great about Saffron Spice is that the menu changes daily depending on what produce is available. As such, you can look forward to something new every day. Some of the specials of the day in the past have included mutter paneer, daal fry, simla mirch with paneer, and malai kofta. A humble and unassuming eatery in Seattle, the Tandoori Hut forgets any pretenses and focuses on fresh Indian cuisine alone. Despite their humble restaurant, the Tandoori Hut is highly rated for having fantastic food and service as well as their ever so popular lunch buffet. All of the menu items are beloved by regular visitors but there is certainly a few that have people coming back again and again. One such dish is the butter chicken, which is prepared with sliced boneless tandoori chicken that is marinated in fresh herbs and simmered is a sinfully delicious tomato-based curry. The lamb karahi is another such bestseller, wherein the boneless lamb is sautéed with onion, tomatoes, and green pepper. You certainly don't want to miss out on vegetable dishes like the saag paneer or the eggplant bharta either. A brainchild of the successful restaurateur Mohammed Bhatti, Taste of India is one of the finest Indian restaurants in the Emerald City. From food to ambience, the restaurant does everything well and has enjoyed fantastic ratings on Zagat as a result. A trip to this restaurant will reward you with impeccably cooked Indian and Mediterranean meals. Gluten-free and vegetarian offerings are also available at the Taste of India, like the baba ghannoj – eggplant smoked over an open fire that is then pureed and combined with tahini and a special dressing and served with pita. Make sure to try specials like the Tandoori Surprise, aloo gobi, and Madras chili masala as well for an authentic taste of India. 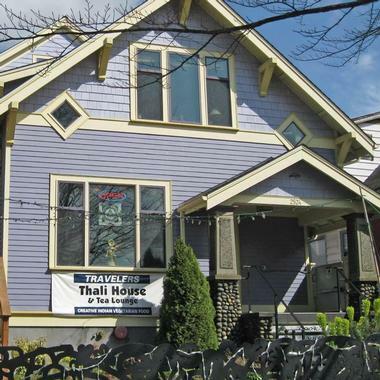 Go on a journey from Seattle to Madhya Pradesh when you dine at the Travelers Thali House. Serving authentic thali cuisine, the restaurant has a monthly special thali set on offer that features classic Indian vegetarian dishes and changing specials. For those who have never tried a thali meal and don't quite know what to expect, thali refers to the platter that is used to serve a variety of individual dishes that come together to form a complete meal. Some of the dishes that guests can look forward to when eating a thali meal include alu masala rasedar, yellow potatoes served in a thin tomato-ginger gravy and rich with spices, and kadhi with boondis, a yogurt-based soup with tender chickpea boondis. Examples of other inclusions to look forward to are the cucumber mint raita, kachumber salaad, and jilebi.